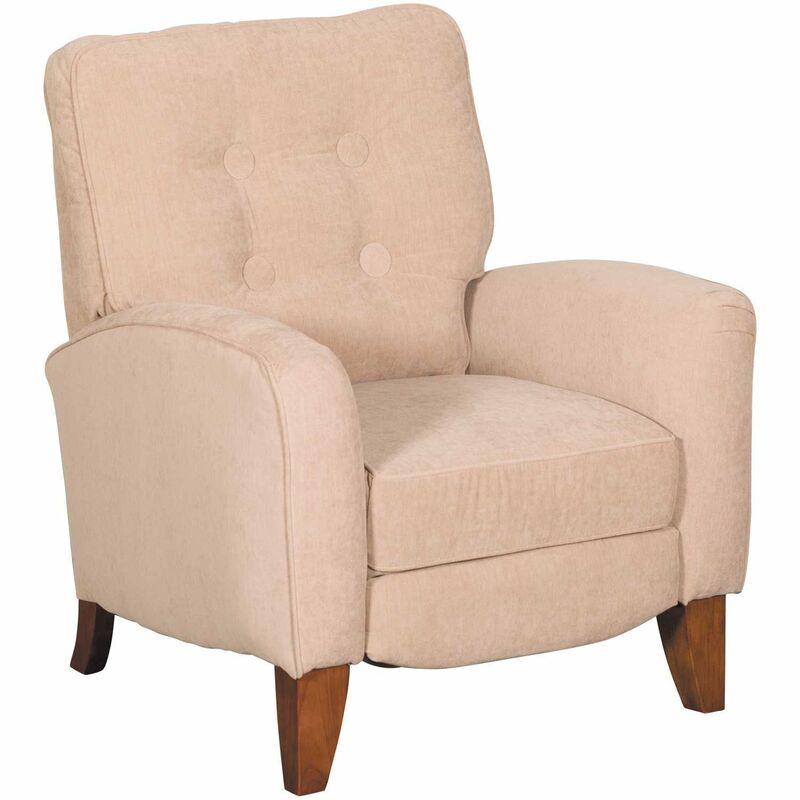 Enjoy style and comfort with the Fritz Tan Push Back Recliner by Lane Home Furnishings. 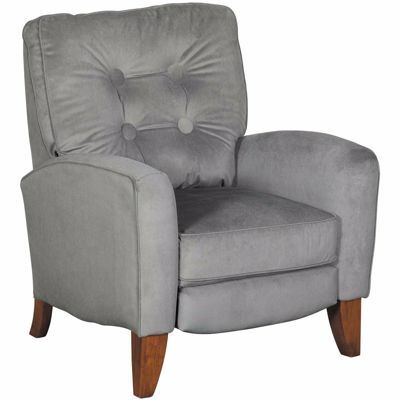 This recliner has streamlined curved track arms, jumbo button tufting on the back, and tan upholstery for a contemporary look. The push back reclining mechanism offers infinite comfort possibilities without a distracting lever. 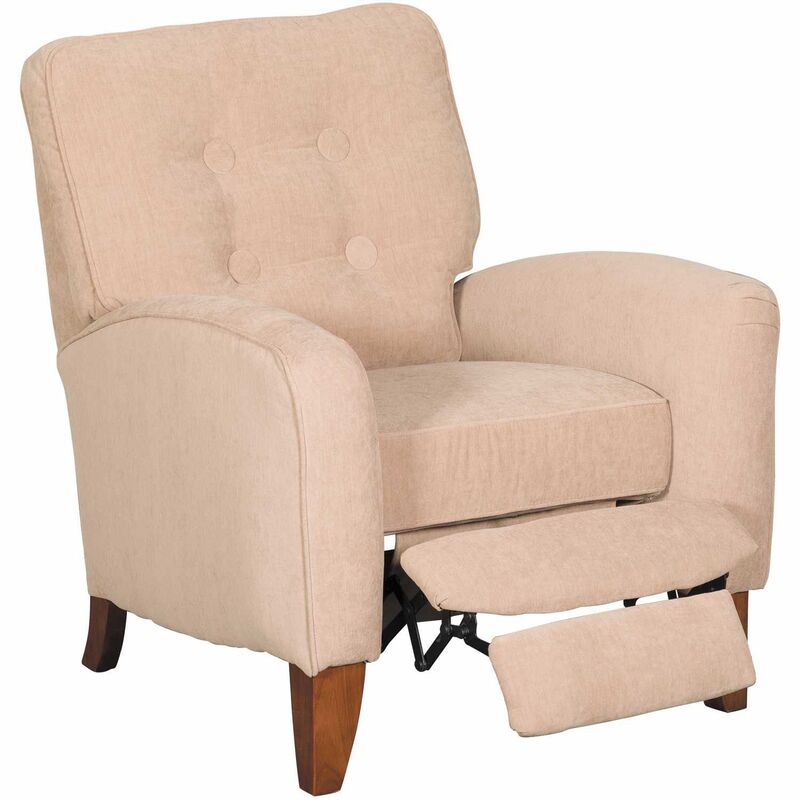 Enjoy style and comfort with the Fritz Tan Push Back Recliner by Lane Home Furnishings. Fritz Tan Push Back Recliner from Lane Home Furnishings. 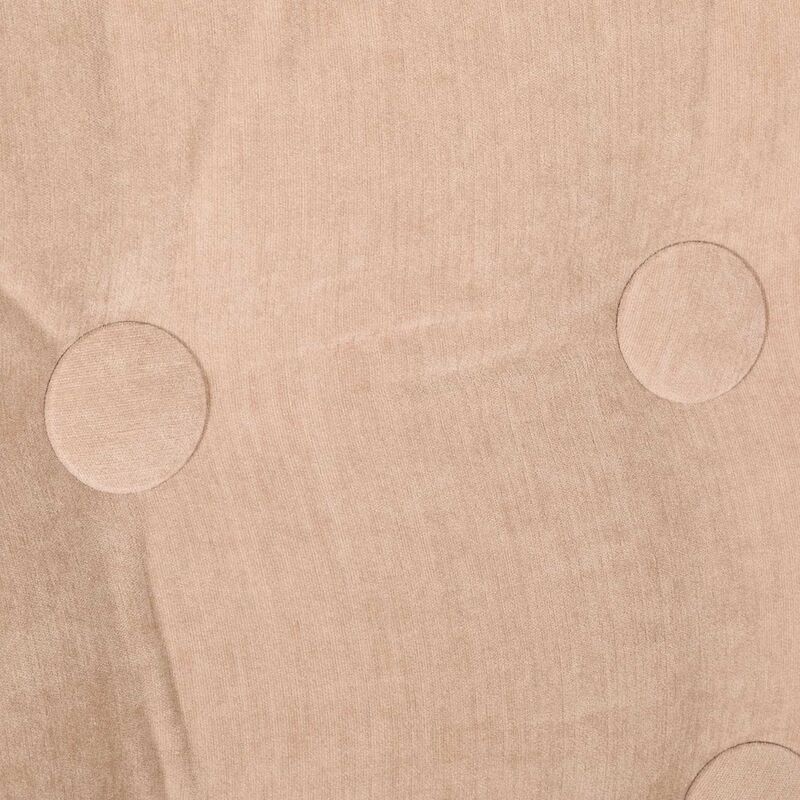 Covered in a tan fabric. 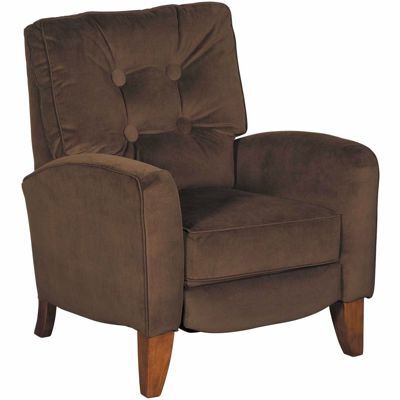 Features push back reclining mechanism and button tufted design. Special purchase, while supplies last.